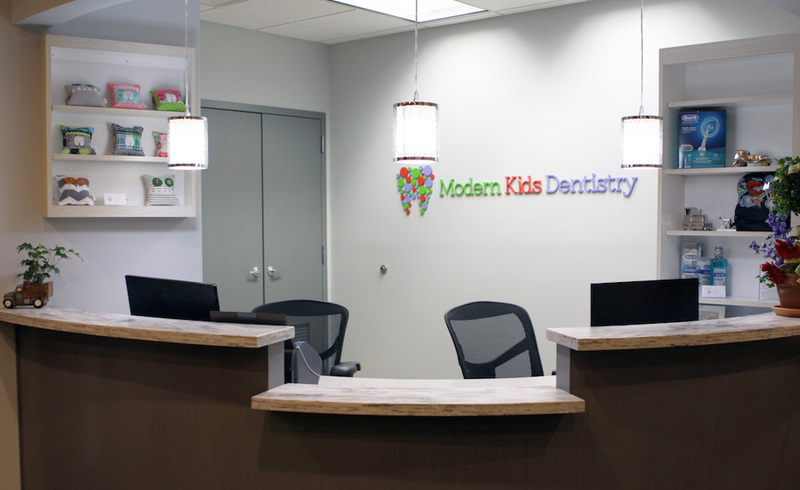 Parking and entrance are located at the rear of building, with Modern Kids Dentistry clearly marked on the door. Conveniently located about 1/10 of a mile from Veteran’s Park Elementary School. From the intersection of Man O’War Boulevard and Tates Creek Road, drive 1/2 mile south on Tates Creek and turn right onto Clearwater Way. Drive 1/6 a mile and take the second driveway right and park behind the building. 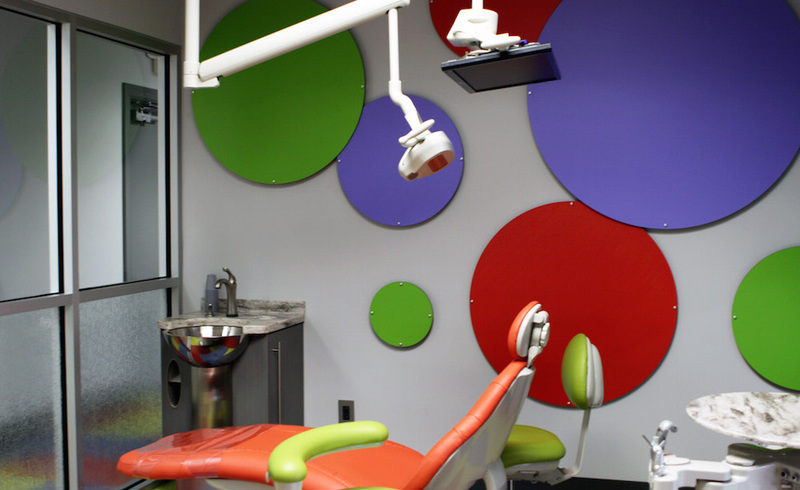 Smart TVs — placed above the dental chair with Netflix, HULU, Amazon Prime, and more. Bluetooth Headsets – Sizes for young children and older teens to entertain them with their favorite music. Giant Toy Dispenser – Your child will be awarded a token at the end of each appointment to receive a prize from our amazing sculpture. G Scale Model Train – If your child is not interested in watching television, they may opt to watch our train circle around the ceiling while getting their teeth cleaned. Cavity Free Club – If no cavities are found during the first appointment or recall, your child is entered into one of our monthly drawings for awesome prizes. A positive experience for our parents begins with our friendly staff, personalized service as well as technological advancements. 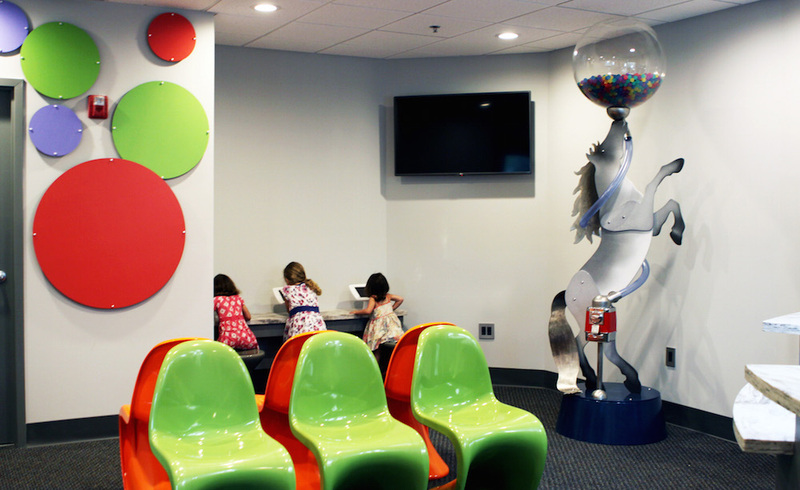 An iPad check-in system quickly notifies Dr. Raybould of your arrival so the child’s wait time is as short as possible. The waiting room caters to adults as well as children offering free WiFi to get work done or simply enjoy social media in a comfortable and artistic setting for a stress-free visit. Our integrated communication system gives you the choice of a text, call or email reminder for follow-up appointments for your convenience. Plus our personalized phone system recognizes your number when you call, so our staff can address you and your needs quickly and efficiently. Call (859) 317-6810 (Lexington), (502) 245-8855 (Louisville) or (859) 759-4428 (Nicholasville) today or submit the form below to start laying the foundation for a lifetime of excellent oral health and smiles.